Some of our readers will remember the Acer Android Netbook that was announced earlier this week, which looked to be the first netbook to launch with the Google Android OS. Unfortunately it looks like it will come Android, but not as a single OS, but in a dual boot configuration with Windows XP. 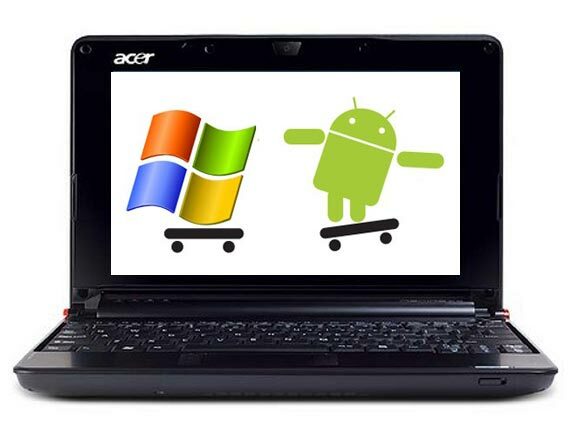 According to Acer this is being done as not many users are familiar with the Android OS compared to XP, and because it is not yet a proven OS. So basically it is going to cost the same as most netbooks as instead of running a free OS as its primary one it will be running Windows XP.